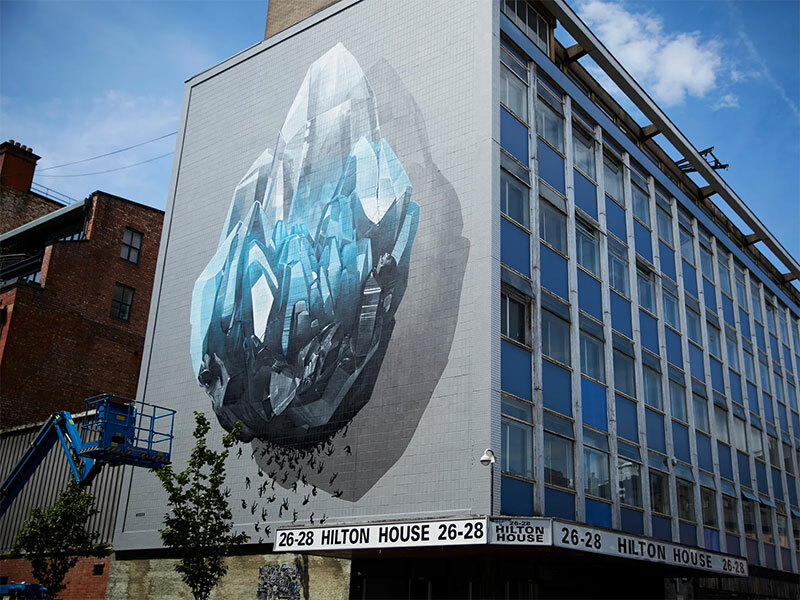 Over the last few days, Manchester’s Northern Quarter has played host to a number of the world’s most renowned street artists for the first Cities of Hope street art convention. The aim is to raise awareness of a variety of social issues, chosen by the artists themselves. 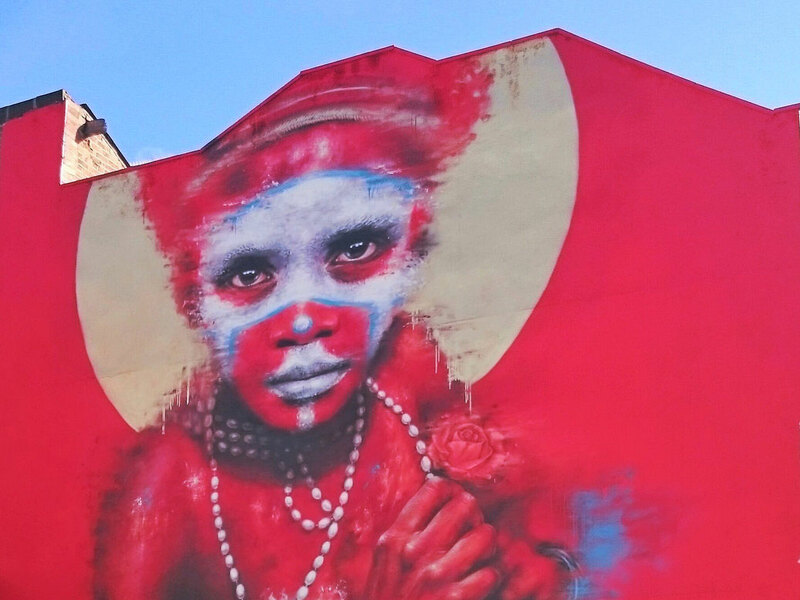 Each artist and issue is being linked to a local organisation that fights to help the lives of those affected by the issues, at a grass roots level. 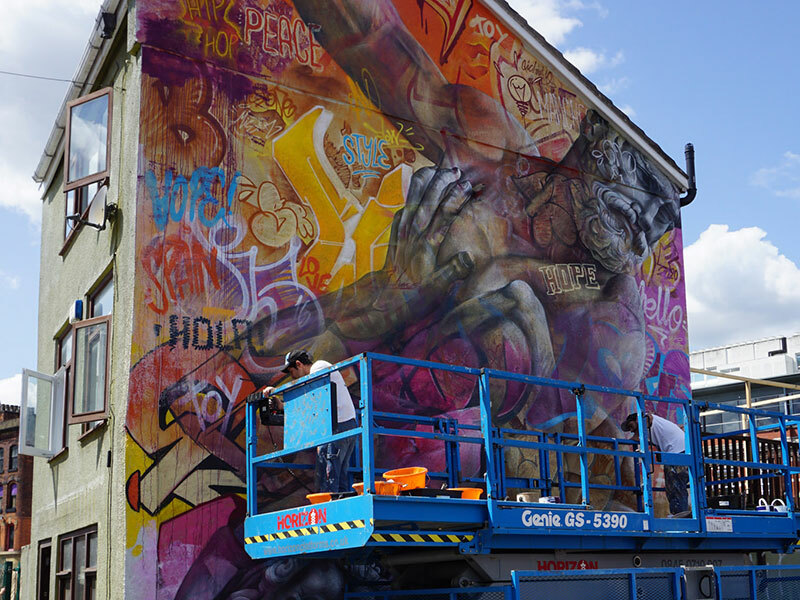 It’s been incredibly exciting, and inspiring, seeing these artists at work, as the Northern Quarter has essentially become a sprawling art gallery. The fact that each and every piece addresses a social issue close to the artists’ hearts makes them all the more striking. You can find out more about the Cities of Hope project here.